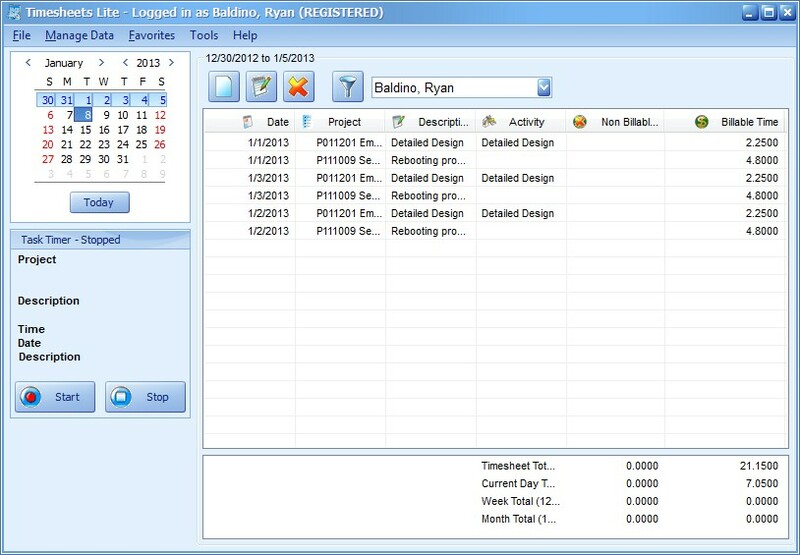 Another time sheet software view, this showing the task timer enabled and automatically tracking time. 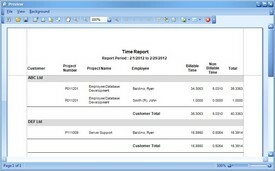 The timesheet can be used to easily copy times between days. Employees can save projects and common activities as favorites for faster timesheet data entry. 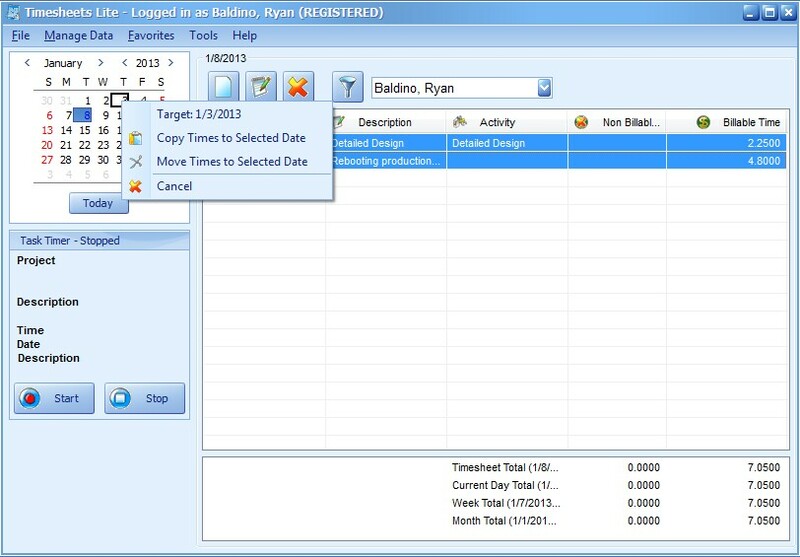 Employees can view, add to, and edit their timesheet data from one or several days. 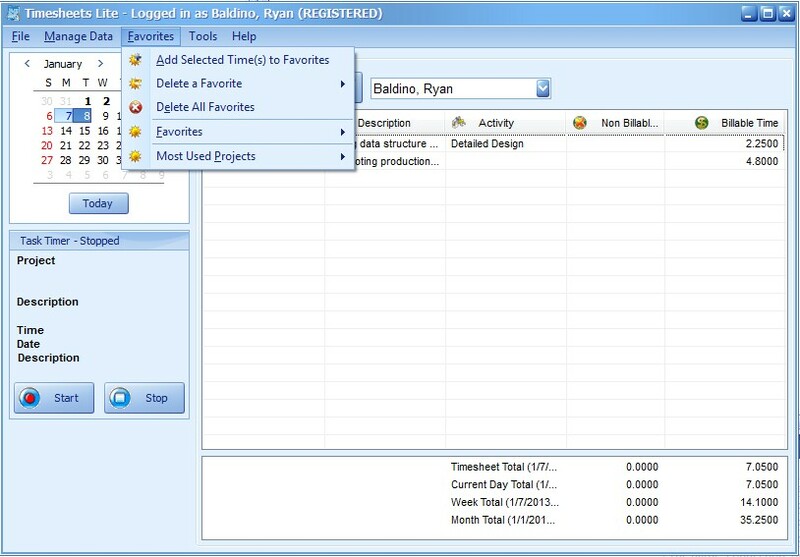 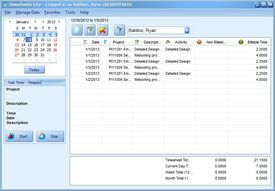 The add/edit time screen is used by employees to record times against projects and common activities. 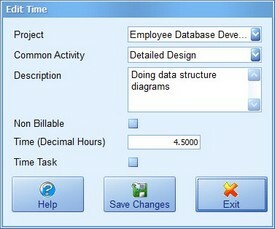 Times can be recorded in decimal hours, hours and minutes, or time units. 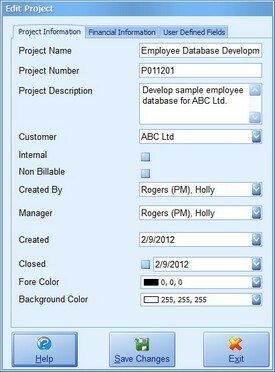 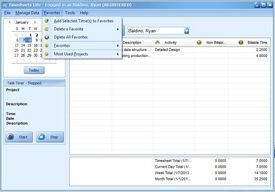 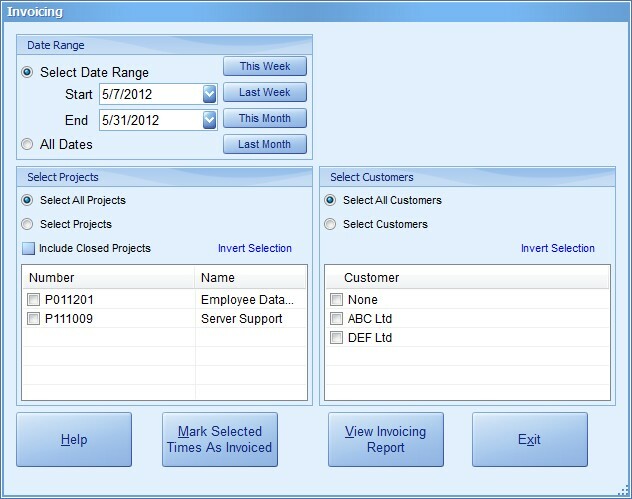 The project filter screen is used by employees to control which projects to and do not display on their timesheet screen. 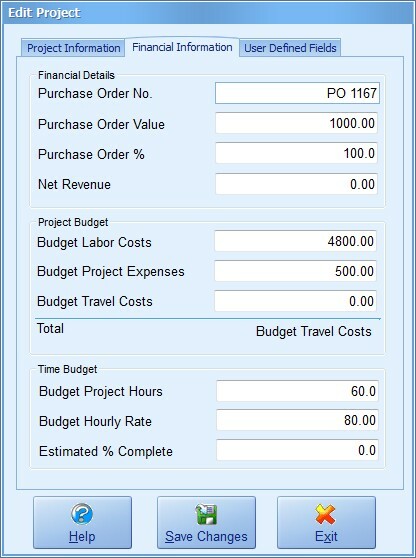 This is useful for companies with very long project lists. 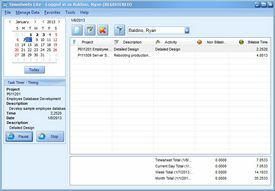 The manage projects screen. 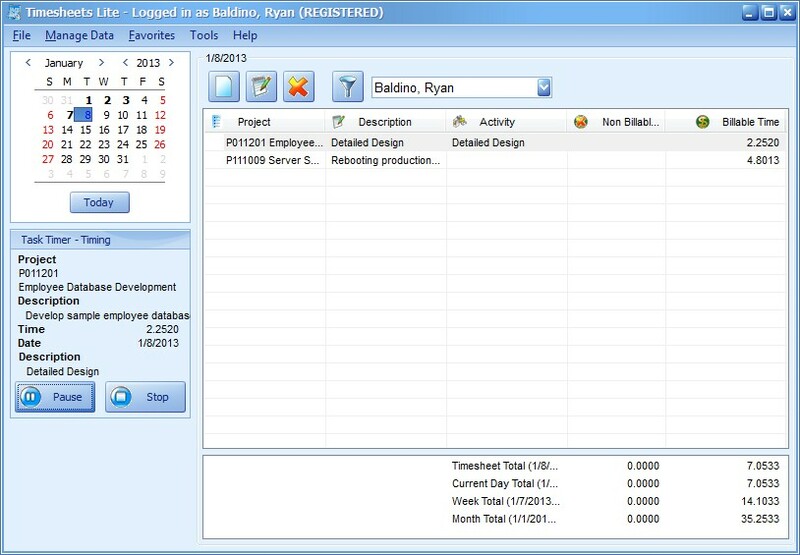 Projects are created and time is tracked against projects. 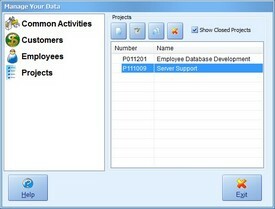 This screen is used to enter basic information about projects including the customer and project manager. 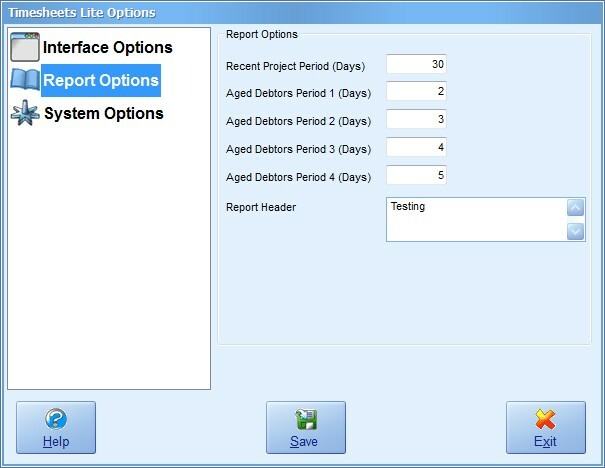 This screen is used to enter project financial information which is used in various Timesheets Lite reports. 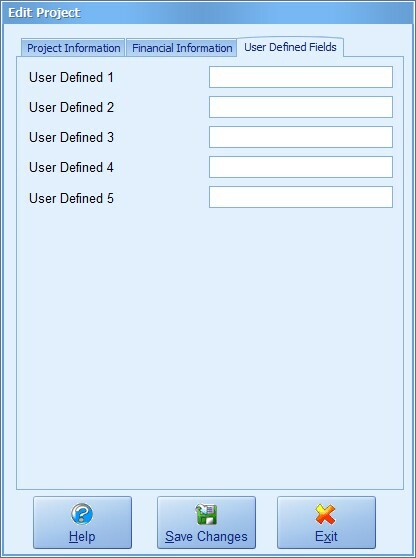 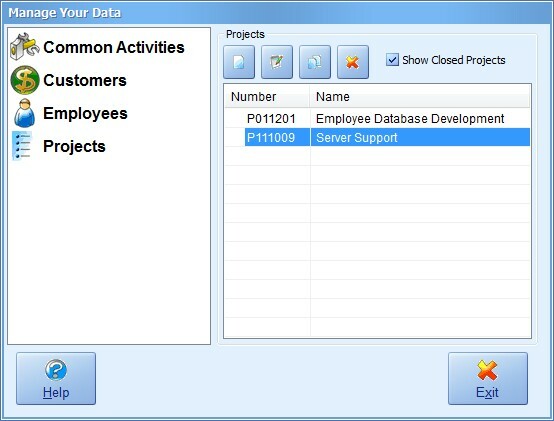 This screen is used to enter any additional information that needs to be tracked with projects. 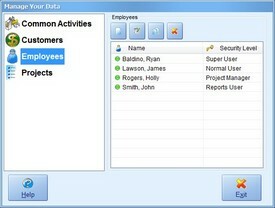 The manage employees screen. 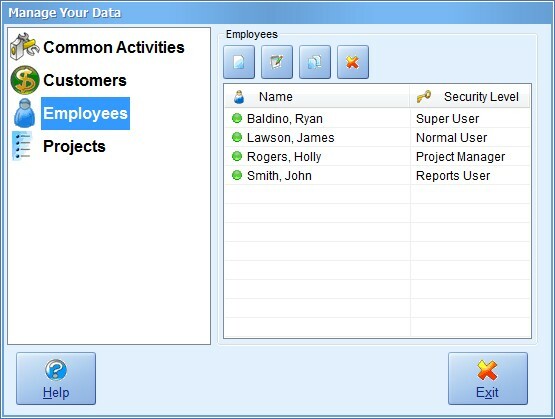 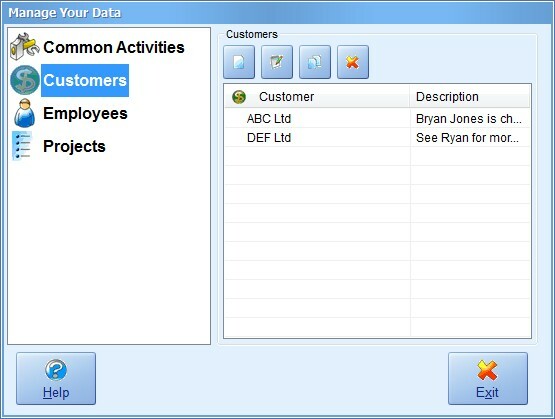 An emplotee is created for each person you want to enter data into the timesheet software. 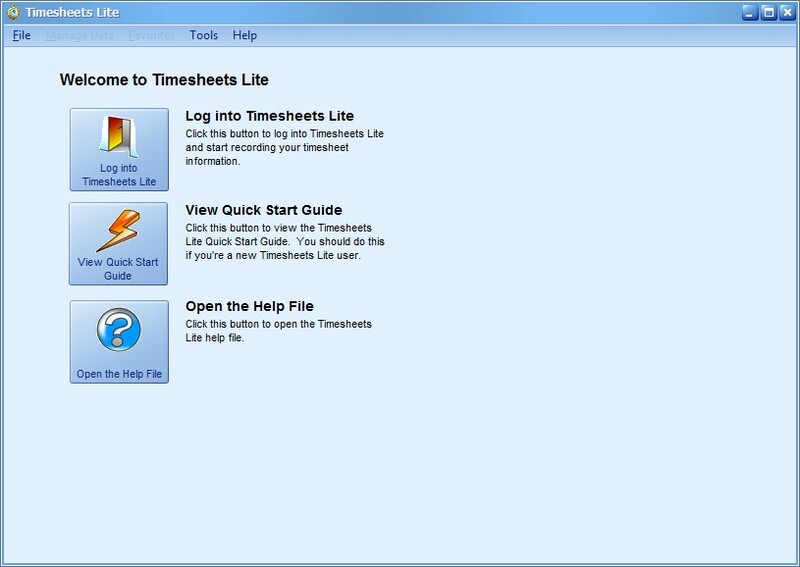 This screen is used to enter all information about Timesheets Lite employees. 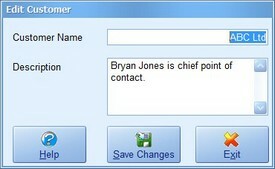 The manage customers screen. Projects can be assigned to customers for tracking purposes. 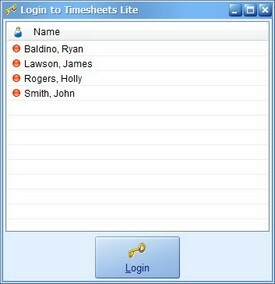 This screen is used to enter all information about Timesheets Lite customers. 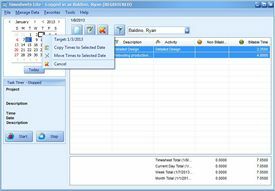 The manage common activities screen. 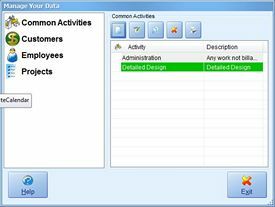 Common activities are tasks that are commonly carried out within your projects and are used by employees when they record timesheet data. 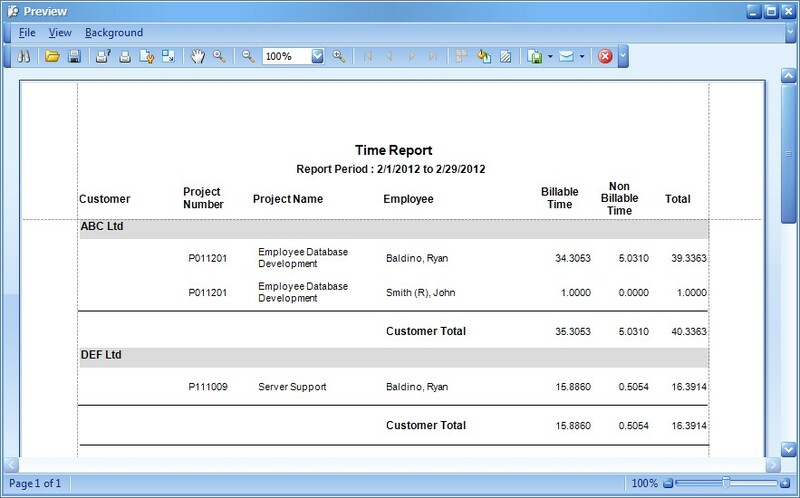 They can also be used when running reports to see how your employees have been spending their time. 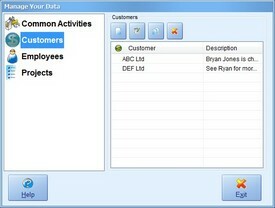 This screen is used to enter all information about common activities. 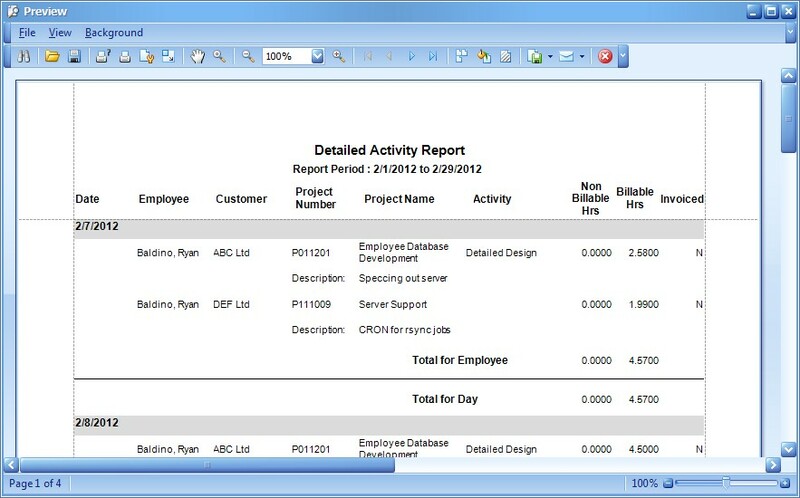 The invoicing report is used to mark Timesheets Lite time as invoiced. The invoicing report gives details of the project times that are to be marked as invioced. 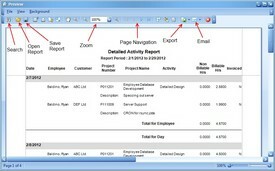 This report could be used to generate your invoices. 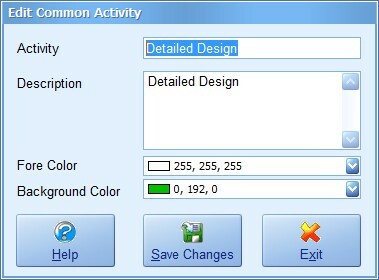 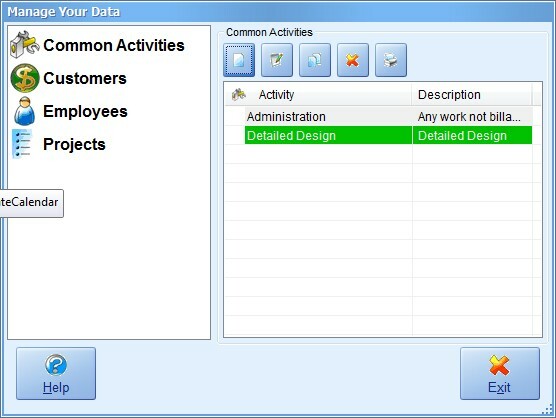 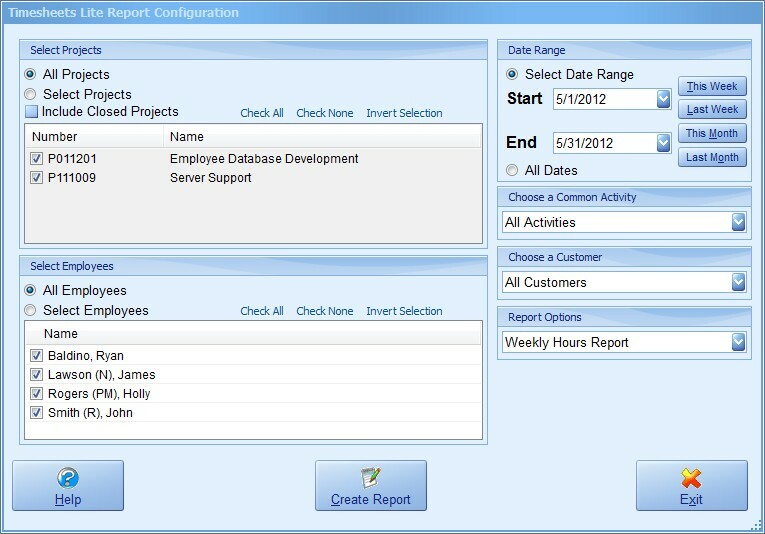 The report configuration screen is used to define all report criteria and run reports. 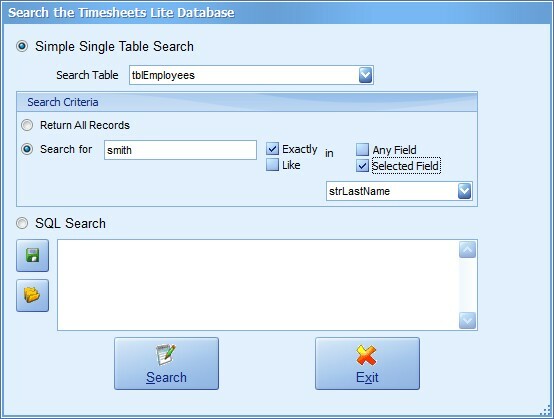 All Timesheets Lite reports can be printed, exported, or saved for later use. 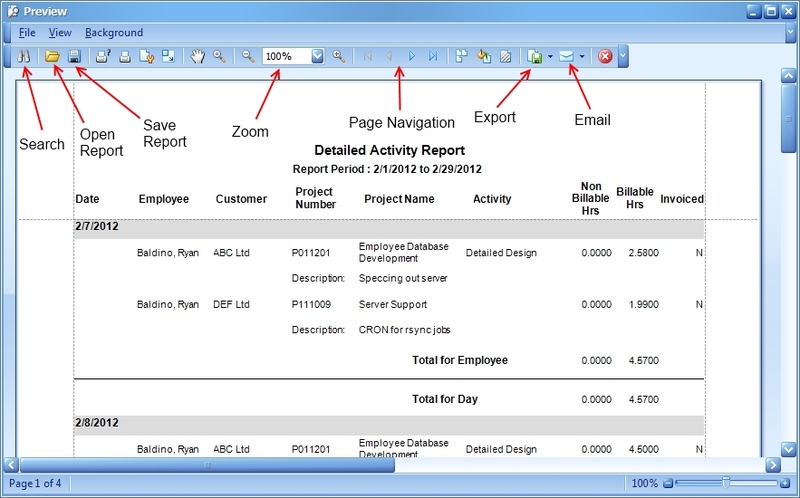 This screenshot gives a brief explanation of the report screen functions. 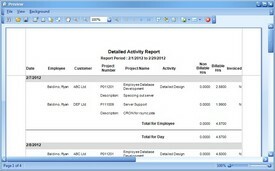 The detailed activity report gives a day by day and employee by employee breakdown of activity on projects. 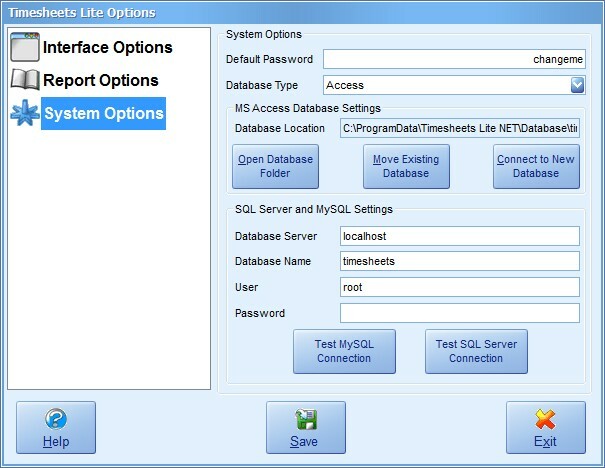 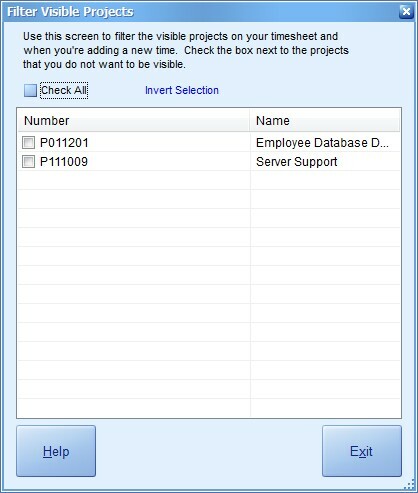 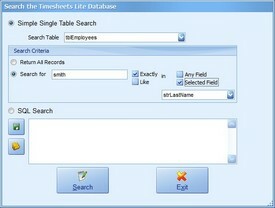 The search database screen can be used to execute searches against the Timesheets Lite database. 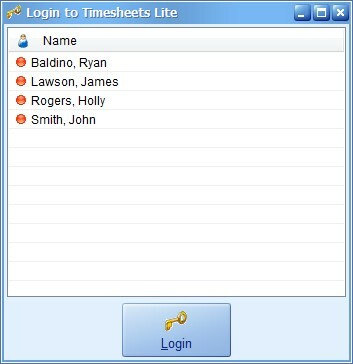 The login screen is used by employees to log into Timesheets Lite. 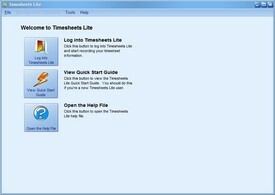 The dashboard is displayed by Timesheets Lite when no employee is logged into the software. 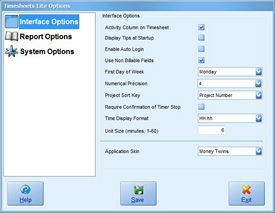 The interface options screen controls how various aspects of the Timesheets Lite user interface behave and appear. 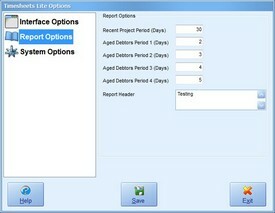 The report options screen controls how some reports in Timesheets Lite are generated. 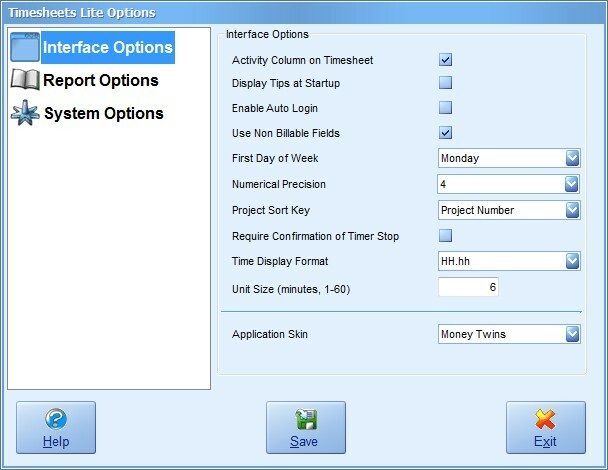 The system options screen controls various system wide settings of Timesheets Lite. 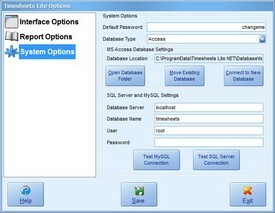 This includes the database location and type.